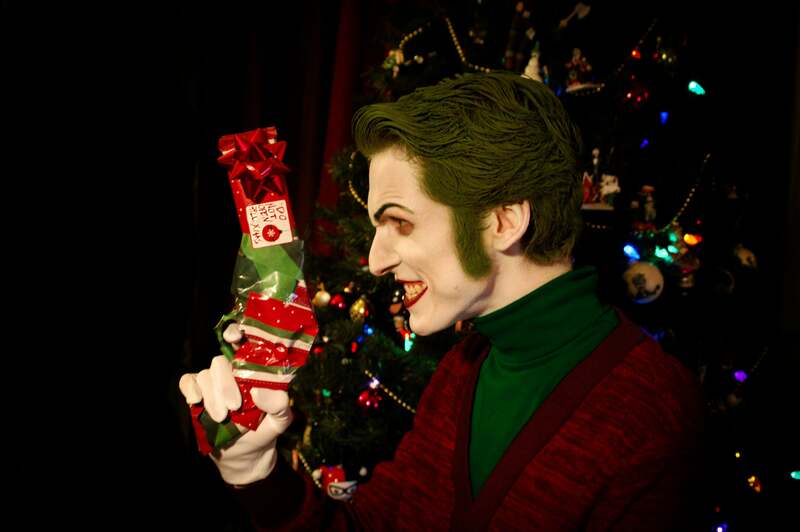 One Bad Day, probably the best Joker cosplayer on the planet, would like you all to have a wonderful Christmas this year. 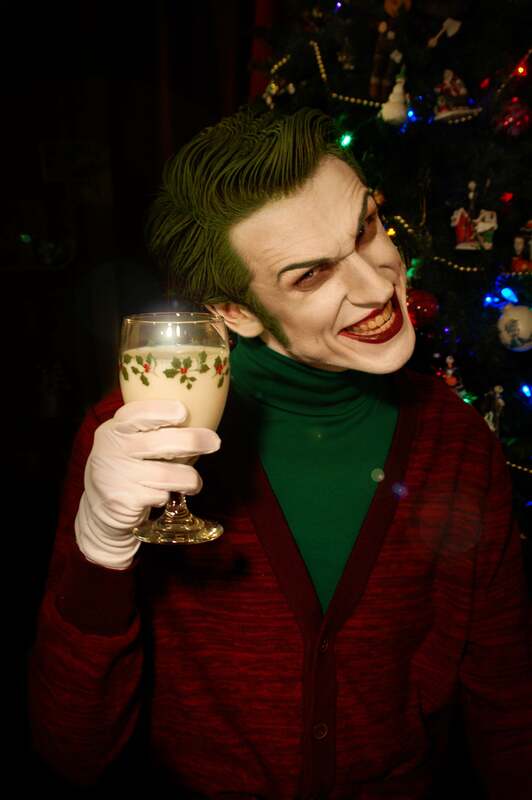 And to make sure of it, here he is wearing a bad sweater and drinking eggnog. There's something about the colour scheme and antique glassware that is legitimately terrifying me. 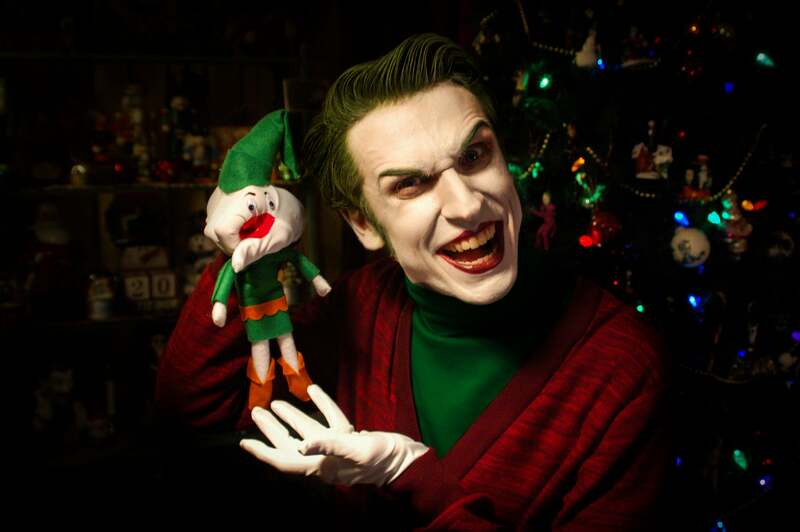 You can see more Joker cosplay at OBD's Facebook page. 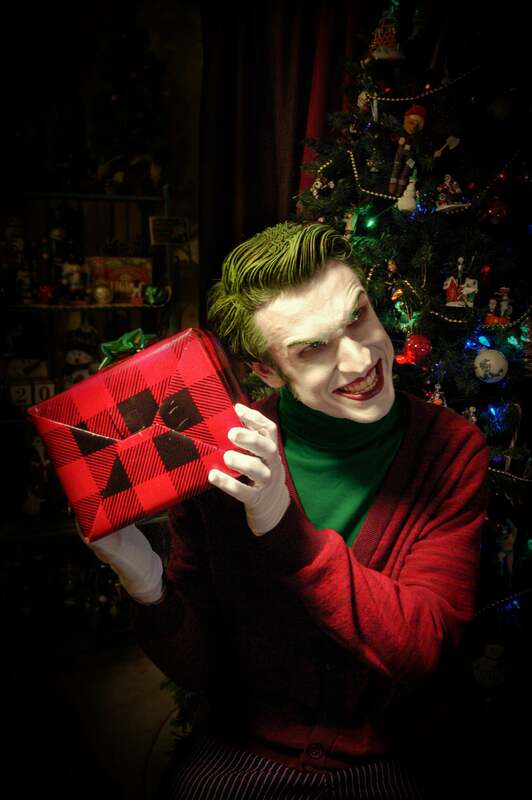 Joker cosplayers are the worst, they stay in character far too much. 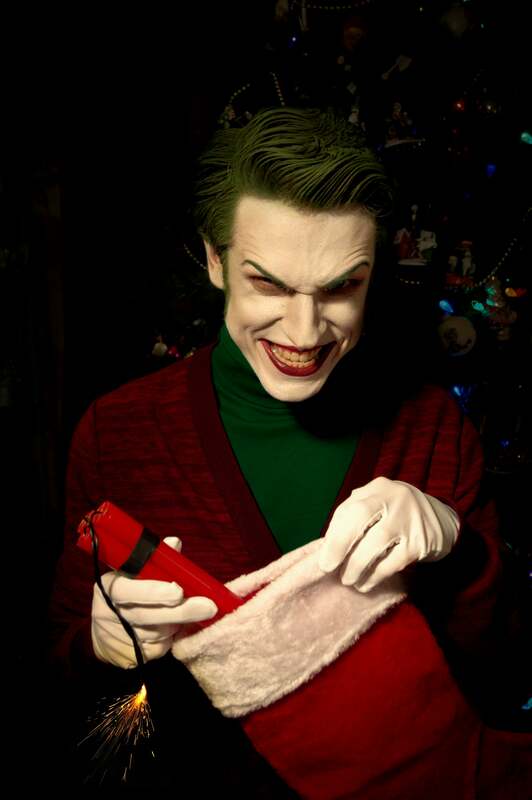 Oh you, you're such a joker.